Want to work with Angel Messenger? UPDATE 2-13-12 We have received a number of applications from some wonderful practitioners and so will no longer be accepting applications after 2-15-12. IF YOU WANT TO APPLY, PLEASE DO SO ASAP! If you’re wondering why I am looking for reputable people to share my clients with, the answer is simple … I simply cannot meet the demand. I need help meeting the need for readers, healers and spiritual practitioners on my site. While I’m not certain how many will be hired yet, I am more concerned with quality versus quantity, and I am now ready to accept applications. I’ve put a lot of work into researching and thinking this through, so please read the details written here before applying. It’s important this is a good fit for everyone, including yourself. At least for now, I will only be accepting applicants that are U.S. based. Time zones can make things complicated enough, and adding an international element may be a bit too much to take on right away. This may change in the future. You must also be at least 21 years of age to be considered. There are no exceptions to this rule, and, if hired, we will require a photocopy of a valid legal I.D. (driver’s license, passport, etc.). Experience is required. You must have at least five years of professional experience to be considered for a position with Angel Messenger. 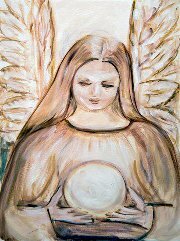 http://www.angelmessenger.net/wp-content/uploads/Angel-Messenger-Logo-2016-v4.png 0 0 Rev. Sheri http://www.angelmessenger.net/wp-content/uploads/Angel-Messenger-Logo-2016-v4.png Rev. Sheri2012-02-07 17:07:432012-03-02 11:02:11Want to work with Angel Messenger? 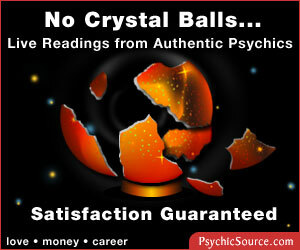 Calling All Quality Psychics! Valentine’s Day Giveaway – Win a Free Numerology Reading!